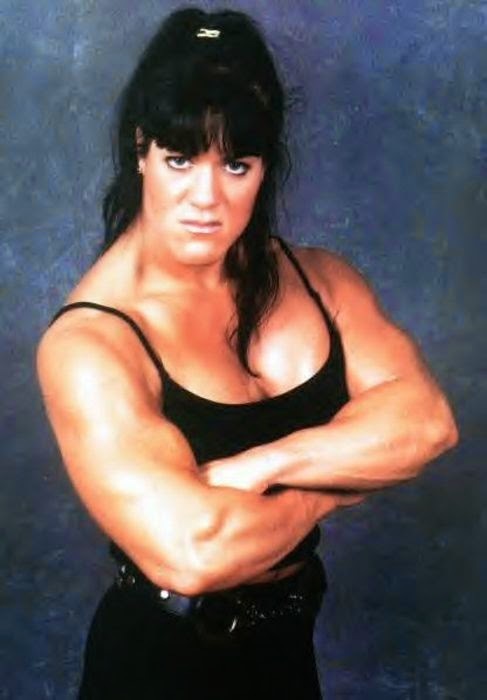 Chyna was so sensitive about her looks that she changed herself with plastic surgery. By the time you get to the end she doesn't even look like the same woman. She's aged quite well. I didn't mind her more muscular look before, as she wasn't ripped to the point of losing her figure or feminine looks. She's softened over the years and it looks good on her (and better, to be honest), but I've no doubt she's still quite fit and can hold her own against any female wrestler and indeed many other female athletes outside of the ring - and some of the men too.